It’s summer, it’s warm, and we here in the land-locked state of Indiana sure wish we could get away to some sand and waves. Who doesn’t love the beach? Seagulls, ocean breeze, umbrellas, tanning … ahh, paradise! However, just because you’re at the beach doesn’t mean style gets to take a holiday, too. Sun protection is a must, and what better way to complement your suntan lotion than with a hat? Chelsea Davis of She Said He Said and Amy Webb of Urban Frill know this better than anyone! Classically stylish, Chelsea and Amy don’t mess around at the beach. Want to get some beach tips for yourself? Read on! Chelsea: I would wear this look to the mall or out to lunch with friends. In Cali, shorts, a top, sandals, and a fedora can almost be worn year ’round! Chelsea: I like to pair my fedoras with a colorful striped maxi dress or a neutral shift dress with wedges. My favorite, though, is to make my hat the focal point by pairing it with boyfriend jeans, a plain T-shirt, and bright lipstick. Chelsea: Do I have to pick just one? If so, I love the rim on the Stitch Hats Jane Straw Fedora. It’s definitely up my alley. The red pop of color can match my sandals, shorts, or makeup and completes the look. 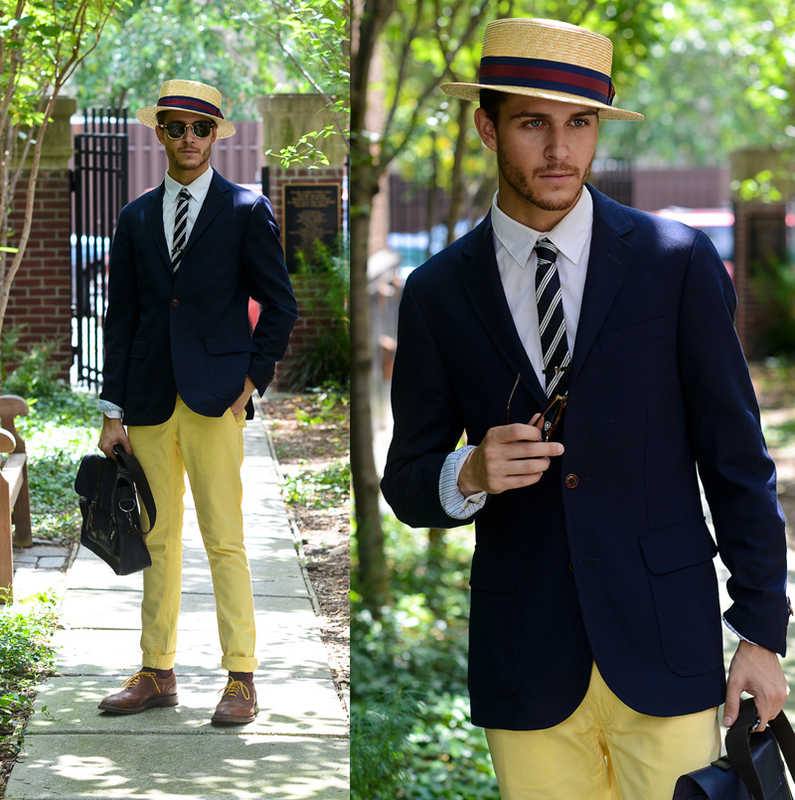 I like the camel color because it goes with either black, white, or brown. The style is perfect, too. I like to tilt the hat a bit for a sassy vibe. What is your favorite summer food or cocktail? Chelsea: I love ceviche. It fills you up and tastes delightful on a hot summer day. My cocktail of choice right now is a cucumber martini infused with jalapeño. Seriously, you can never have just one. Amy: This dress and hat are two of my go-to pieces in the summer. I would wear this look almost anywhere — an afternoon on the beach, lunch at an outdoor cafe, winery-hopping, or a barbecue with friends and family! Amy: I love to tie a silk scarf around the brim of an oversized floppy hat for a little added detail during a day at the beach. It makes packing for vacation so much easier, too! Just bring one hat and five scarves, and you’ve already got six different looks. Amy: It’s so hard to pick just one, but I adore the Betmar Maple Wool Floppy Hat. It’s the sort of hat that just goes with everything (great for bad hair days). I especially love the rope detailing. Amy: The Outer Banks in North Carolina. I have been going every summer with my family for the past 15 years. It’s the perfect place to unwind, relax, and forget about reality for a week. Thank you to our lovely ladies, Chelsea and Amy, for talking with us. Be sure to check back soon for more lovely gals sporting hats! Let’s face it: We all stress over what to wear on Shopping Day. Am I too dressy? Am I too casual? Sara of Sara’s Sweet Style and Rose of Dadouchic don’t seem to have that problem. With great accessories (those hats!) and prints, these ladies know how to style the perfect outfit for a day spent shopping with the girls. Check out their looks below, and take away a tip or two! Sara: I would wear this look while hanging out with my friends for some lunch and shopping. I always love to dress up a little, no matter what. This look is fun, comfortable, and stylish — and that’s what my style is all about! 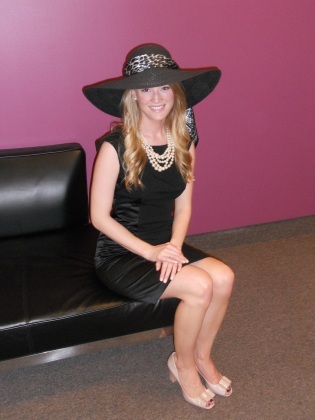 Sara: My favorite way to style hats this season is with a cute summer dress and some stylish wedges. It’s a nice and effortless look! Sara: I fell in love with the Stitch Hats Rose Fancy Toyo Sun Hat. It’s very feminine and can be styled in many ways. Sara: My favorite summer escape would have to be the Bahamas! It looks so beautiful and relaxing, and I could see myself having a great time there! Rose: I would wear this look to go shopping. Rose: My favorite way to style hats this season is to pair a floppy hat with a maxi skirt/dress for a bohemian feel. I also pair my fedoras with leather pants/skirts for a casual and edgy look. 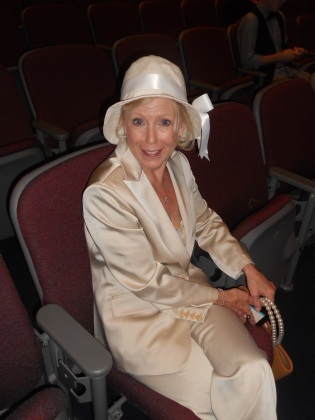 Rose: I would say the Cov-ver Wide Brim Resort Hat. It’s beachy/summery, but yet has that glam touch. Thank you to our lovely ladies, Sara and Rose, for speaking with us about their style. Keep your eyes on the Fedoras.com blog for more Gals in Fedoras! Hats don’t have to be just for keeping your ears warm in the winter. Now that warm weather is finally here, the world of fun, fashionable hats is wide open! We’ve rounded up our favorite fashion bloggers working their best hat style, so get ready for some serious summer inspiration. To kick off our series with a bang, we’re starting with the beautiful ladies of Golden White Decor: best friend pair Lauren and Marika. These girls know how to wear a hat, whether it’s to a casual event, the beach, or a night out. All about California and sunshine, the Golden Girls want you to always be in a sunny state of mind! Describe your personal style and where you draw style inspiration from for Golden White Decor. Lauren & Marika: Our style is best described as European elegance portrayed through our chic yet laid-back California lifestyle. We like to mix boho with prep and believe all women should clothe themselves in class. Our light and airy palate reflects our dreamy state of mind and our goal to inspire the world through our passion. The Golden Girls represent all things golden, and Golden White Decor reflects our sunny disposition and high energy. We are inspired by our surroundings and the light coastal California vibes. We also look for inspiration in our travels. Each city, state, and country has their own take on fashion. Fashion and décor trends are continually evolving, and it is important to keep an open mind. It is also key to look to past trends and how they can be refreshed, revamped, and altered to fit our current lifestyle. Lauren & Marika: A hat can be paired with just about any outfit! 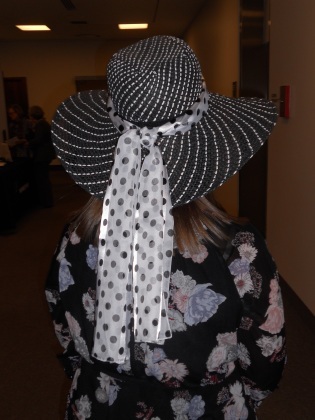 However, our favorite type of hat is a wide brimmed floppy hat! You can dress it down and take it with you to the beach, or you can pair it with a sundress and heels for a more sophisticated look! Lauren & Marika: Most definitely the Olsen twins! Love their casual, laid-back, yet chic style! Lauren & Marika: Of course a wide brimmed sun hat. ;) Great for UV protection! Lauren & Marika: Accessorize as many outfits as you can with a hat! 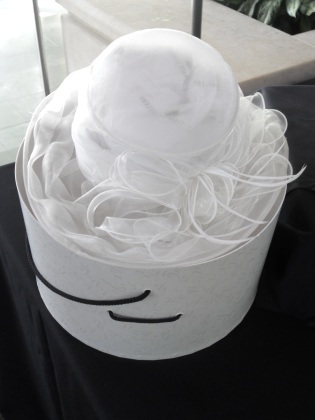 Hats are a fun, classy, and forever in-style statement piece that give your look that “wow factor”! Lauren & Marika: The Raffia Hat with the Chiffon Bow. :) So great for spring and summer! Lauren & Marika: A sun-filled day of poolside lounging! Needed: A good book, glass of iced tea, sun hat, and a bowl of watermelon! Many thanks to the lovely Golden Girls for taking the time to speak with us about their style. 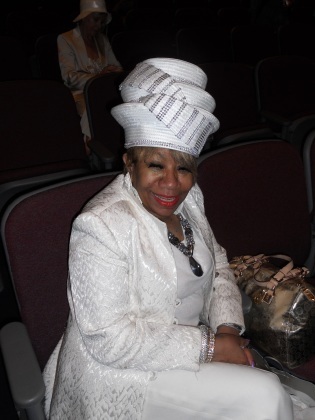 Be sure to check back regularly for more featured ladies in hats! 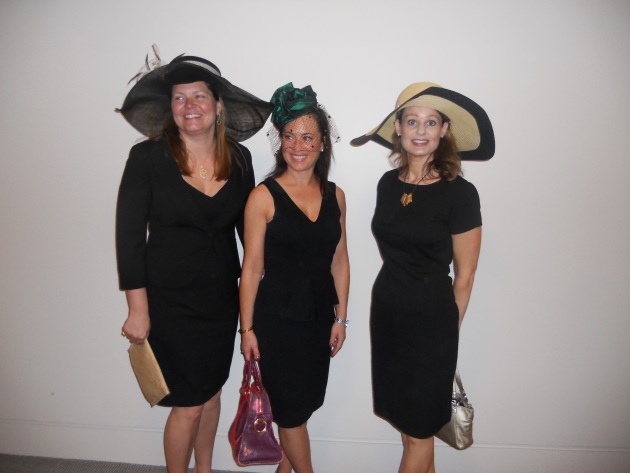 Recently, the team at Fedoras.com was lucky enough to attend the second annual Hats Off! Luncheon, an event hosted by The Indianapolis Museum of Art’s Fashion Arts Society. 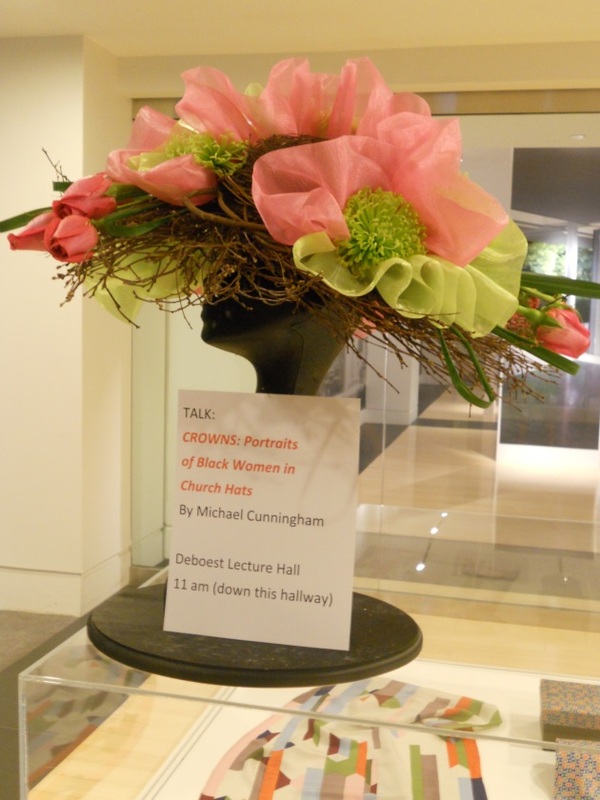 The event featured a sneak peek into the IMA’s latest exhibition, Majestic African Textiles; a lecture by Michael Cunningham, author and photographer of Crowns: Portraits of Black Women in Church Hats; and an awards ceremony with prizes given to the most statement-making guest ensembles. All attendees were encouraged to wear their finest hat attire, so we made sure to dress up in our Fedoras.com favorites! 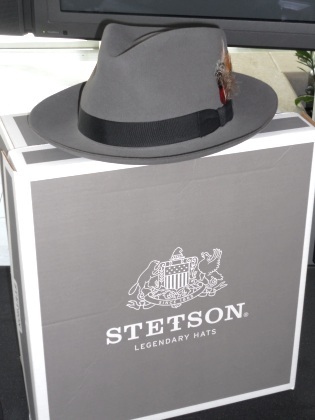 As an official sponsor of the event, we also gave away our very own Stetson Chatham Fedora to one lucky gentleman. 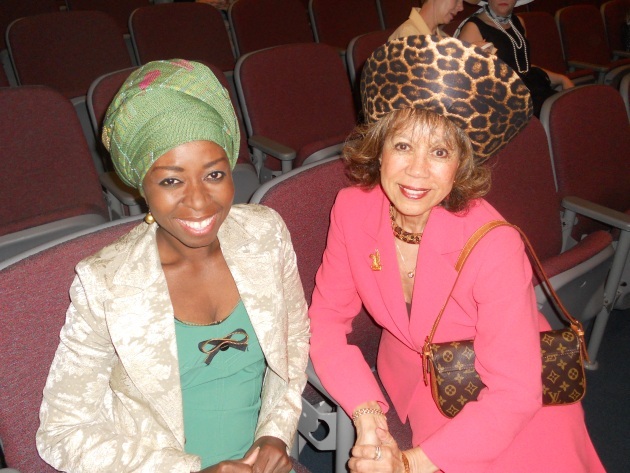 Scroll through the pictures from the event below, and let us know what you think about all of the awe-inspiring hats! The team in our Fedora-wear! Sarah dressed up in our very own Wide Brim Straw Hat. Whitney’s sporting our Two Tone Wide Brim Hat. 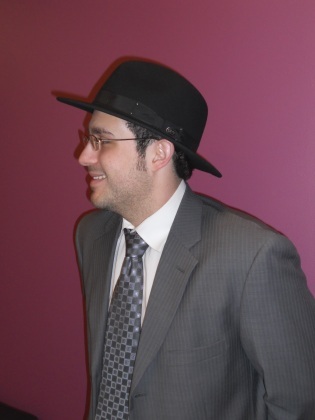 Adam’s in our ever-dapper Bailey of Hollywood Fedora. The man on the left won the Out of Africa prize for the most Robert Redford-inspired style. Yep, that Stetson is ours! Classic-looking ladies in classic Derby attire. The lucky winner of our Stetson Chatham Fedora! A special thank you to the IMA Fashion Arts Society for such an incredible time — we’re up for munching and mingling with fellow hat aficionados anytime! When it comes to throwing an over-the-top, Gatsby-style bash, we know it don’t mean a thing if you ain’t got that swing… music. That’s why we’ve dug through the archives to find the finest jazz and swing tunes to serve as the soundtrack to your 1920s party. From Cole Porter to Glenn Miller and more, we have over 30 Great Gatsby songs cued up and waiting for you. Just press play and swing the night away! Stream the playlist below or click here to open in Spotify. 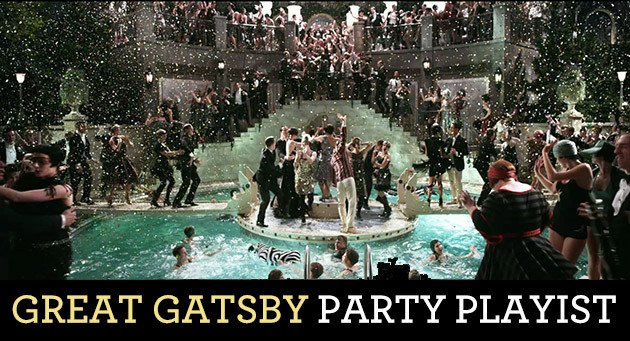 And for even more tips on getting your Gatsby party just right, check out our Great Gatsby Guide, complete with tips on dress code, decor, and more!